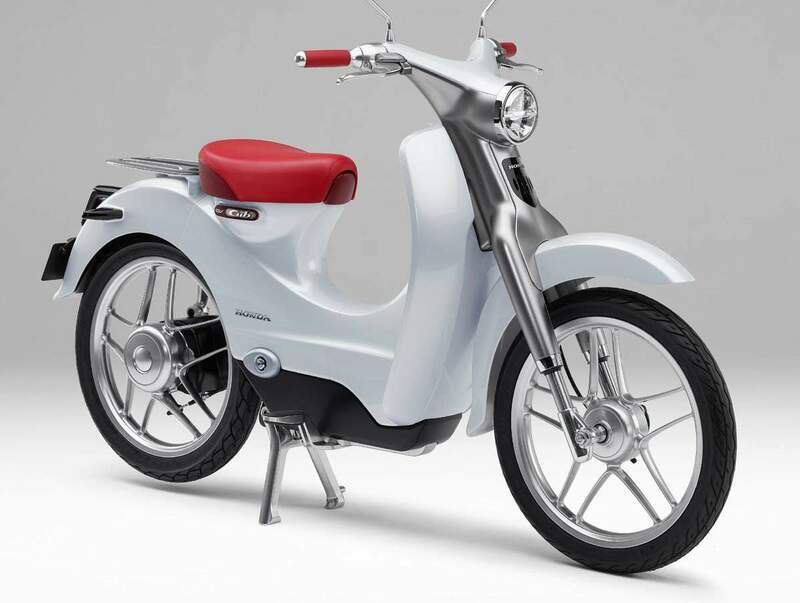 A personal commuter model for short-distance commuting that follows the concept of an “easy-to-handle and economical motorcycle” that Honda has been pursuing since the creation of the first-generation Super Cub. 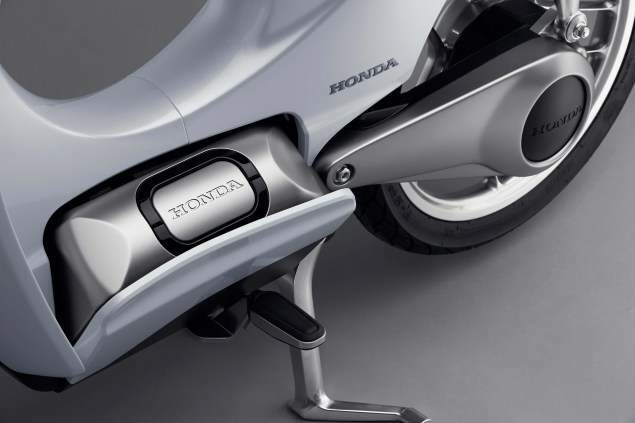 Placing the battery, a heavy component, at a low position in the middle of the body, allows easy mounting and dismounting. 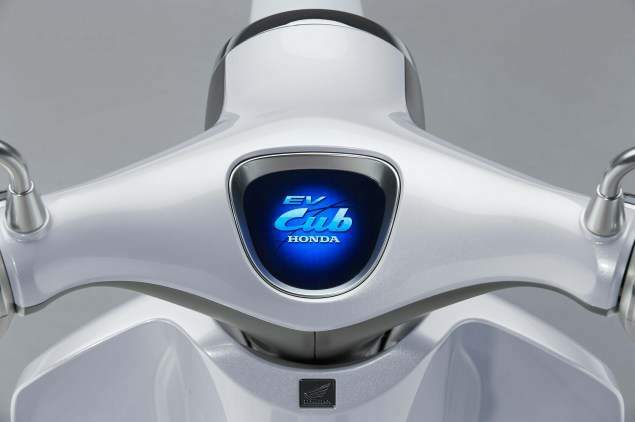 Moreover, ease-of-handling was pursued through concentration of mass and lowering of the centre of gravity. 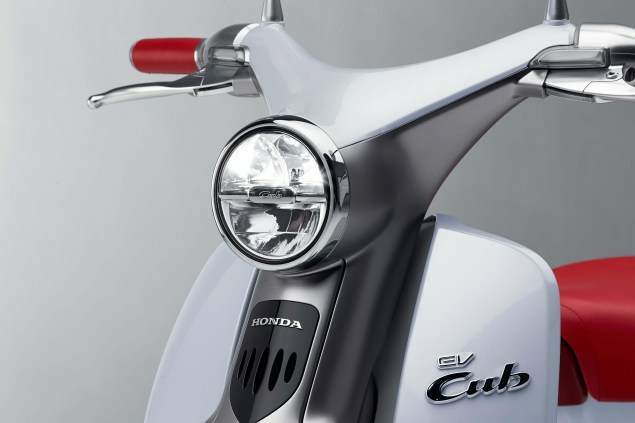 In consideration of ease-of-use in a broader range of environments, the battery itself was made detachable, and rechargeable using a standard home wall socket.in, Honda clearly has updated the Super Cub with modern tastes.